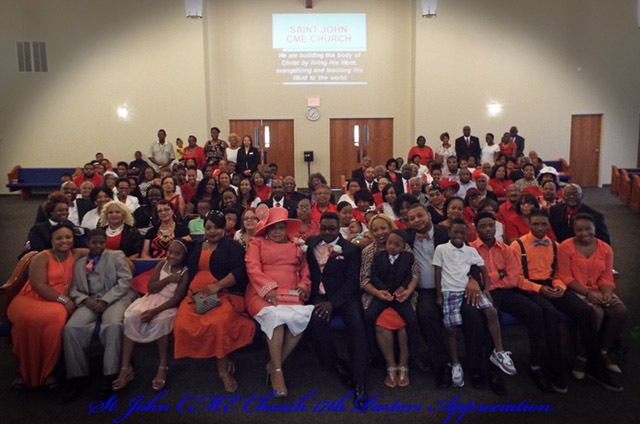 St. John CME | “A Healing Church for a Hurting People"
“A Healing Church for a Hurting People"
Welcome to St John CME Church! We are located at 10413 N.E. 36th street in a small community east of Oklahoma City named Spencer. We are open to all who are seeking a relationship with God or those who know God and are searching for an exciting worship experience with like-minded Christians. Our goal is to serve individuals and communities from all walks of life and provide spiritual guidance, support and dynamic fellowship. It is our desire to facilitate spiritual awareness, growth and fulfillment through the collaboration of the Holy Spirit and the Holy Word. We are a congregation of the Christian Methodist Episcopal Church and rejoice in the privilege to serve God as part of the body of Christ. Welcome to St John CME’s website! Take your time to browse, get to know us and learn more about our ministries. Greetings to all and to God be the glory! Welcome to our new church year! As we look back, it is clear to see that we were and still are truly blessed. Oh how we see the mighty hand of God at work but it wasn’t always easy. St John has certainly had its share of struggles over the last year, but as always, our members with an unwavering faith in our Lord, served with joy and gladness. We held fast to who we are “A Healing Church For A Hurting People” We started the year with our focus “Prayer, Praise and Discipleship”. We had spirit filled teaching sessions on each topic and our associate ministers and members participated in all of them with a special focus on discipleship and mentor-ship. Our spirit was fed with daily scripture reading. St John members enjoyed our Lent season challenge. The theme for our 2014 church Olympics was “Going For the Souls, Giving God Your Best”. Our associate members gave gold, silver and bronze medals to individuals and teams that they led. Yes, it was a spirit-filled year! Now, the new conference year is here and, yes, we are excited to be of service once again! Our focus will come from 2 Timothy 3:16-17 For we are taught “All Scripture is breathed out by God and profitable for teaching, for reproof, for correction, and for training in righteousness, that the man of God may be competent, equipped for every good work”. Thus our theme for this year is “EQUIPPED FOR EVERY GOOD WORK”. We encourage every member and church leader to look to our Lord and in faith make this conference year the best ever. To God Be The Glory! Yours in the Mighty and Majestic Name of Jesus!